‘You would play an untextured cube if you could do more DPS’. Not true, but they did have a point. Visuals, sound-design, narrative and atmosphere of games are very important to me , but I do prioritise ‘gameplay’. Indie games have a large range and some can be ‘games’ with very little gameplay, highlighting narrative or other elements . Huge MMORPGs can hedge all bets being an amalgamation of many meta games. Some players focus solely on their rankings in PVP combat, while others, in the same game, may want to concentrate on crafting, exploring, fishing (shudder) or roleplaying lore with other players. The reason I am rambling about this now, is that having done my due diligence setting up an online eco-system for Fiendish Devices; I finally get to crack open the game engine (Unity) and start building the actual game! 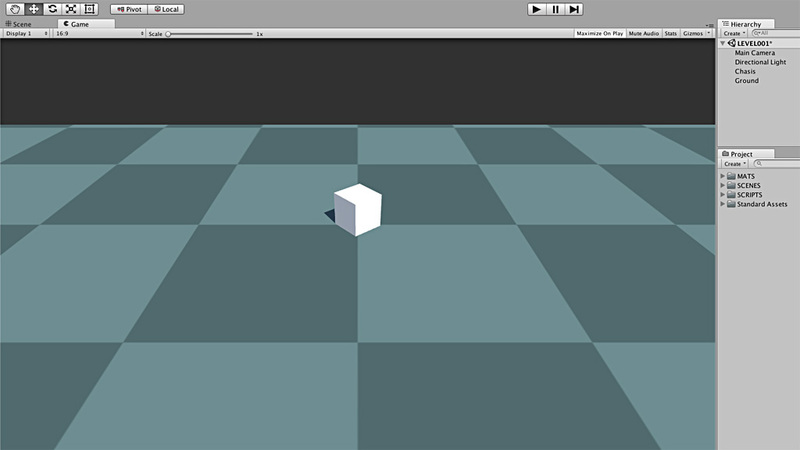 Starting with… an untextured cube. Rather than modelling environments and animating characters to work with, I start to code the gameplay using simple blocks as place-holders. The first phase of which is character movement, objects interaction + UI. Core features, if it plays well with untextured cubes, it will be awesome with rich graphics and sound; however, if I build a beautiful world, but it feels clunky to use, players will soon abandon it. 1/3rd Strategy, (puzzles and building). I am confident in the story, I think strategy will need careful balancing; however, Action will have to ‘feel’ good. So I start with trying to get that right. There are many tools to help with game building, some handle interaction, inventories, camera controls. However I am going to start in a minimalist way, with just scripts in C#. It may be that using other frameworks is more efficient, enabling quicker prototyping. But adding layers of stuff between me and Unity, seems a recipe for less control and more chance of complexity as the game grows. Coding, though interesting for me; means there won’t be much to see here, so I may talk about general gaming concepts or other games. Feel free to comment about what you are interested in or ask questions. Started coding the game in Unity.